Widths greater than 90" will be pieced together. Depths greater than 50" will be pieced together. Diameters greater than 50" will be pieced together. CumuPlush filling is constructed of layered polyester designed for outdoor use. It drains easily and resists mildew. For a plusher look, we recommend ordering 1" more than the finish (in thickness only) to account for compression of the poly fiber. 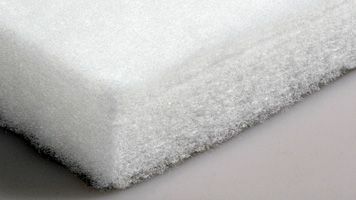 For example, if you plan for your cushion to be 2" thick, use 3" of CumuPlush fiber. The extra thickness will compress inside the cushion shell and give plenty of "push" on the cushion for a firm look. Customers who have purchased this item have also been interested in the following items. Enter the largest measurements for your dimensions. Please be sure to read our important Template Information and Directions. We accept whole and half-inch increments only. For a plusher look, we recommend ordering 1" more than the finish (in thickness only) to account for compression of the poly fiber. Stay connected by following us for the latest news and exclusive offers. Copyright © 2004-2019 Cushion Source®, The Leader in Custom Cushions™. 946 Plantation Way, Montgomery, AL 36117-2282. Use of this site signifies that you are in agreement with our terms and conditions.